This week my Sunday morning photo shoot was severely affected by the weather. While most of the country was in the grips of heavy snowfall and freezing temperatures, down on the south coast it was blowing a gale, and was extremely wet. 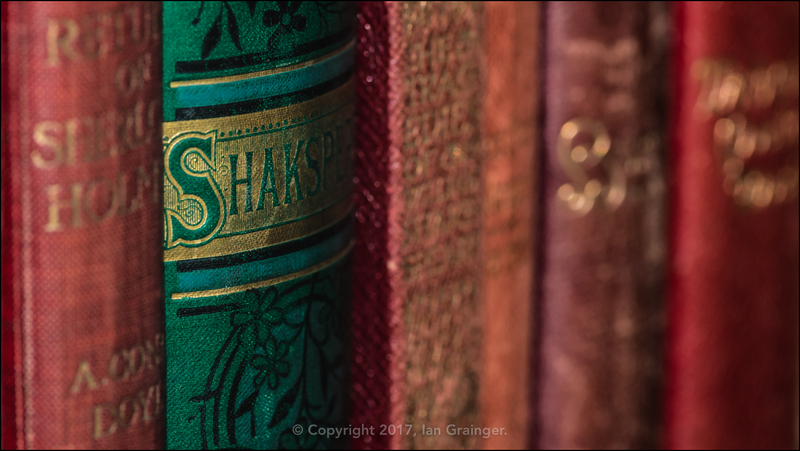 Unable to get outside with my camera, I was still keen to take some pictures, so I hunted around for suitable subjects indoors. 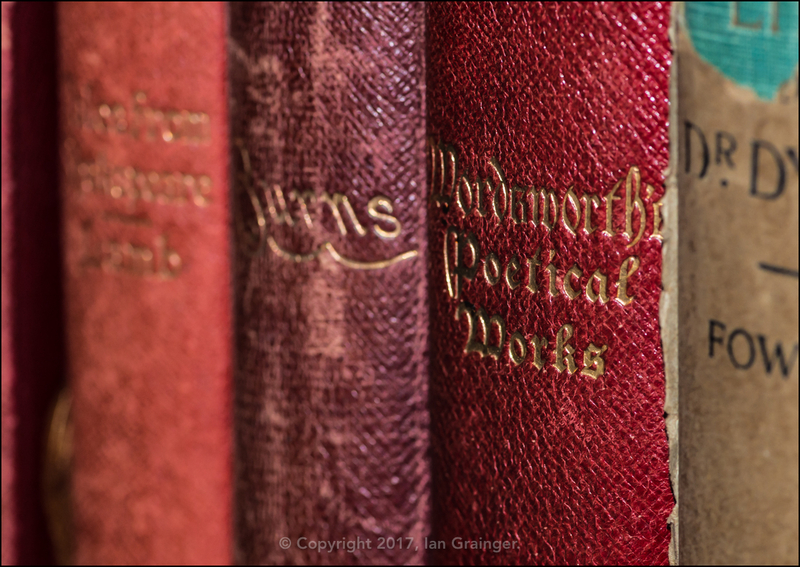 The first thing to catch my eye was this antique book of poetry written by William Wordsworth. ...while this white one has now been flowering for about three years. When it was originally purchased it had been dyed a light blue colour, unbeknownst to us, but is now this pure white colour. So much better don't you think? 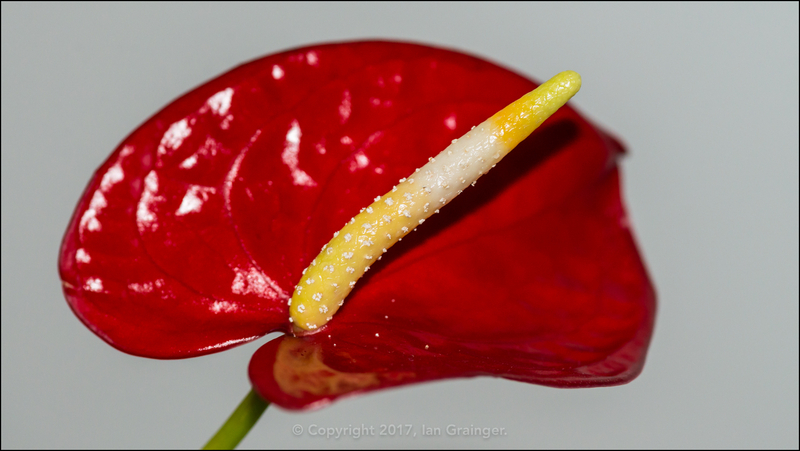 This Flamingo Flower (Anthurium) has been flowering for even longer. It has been flowering pretty much non-stop for the past four years. Quite remarkable really. 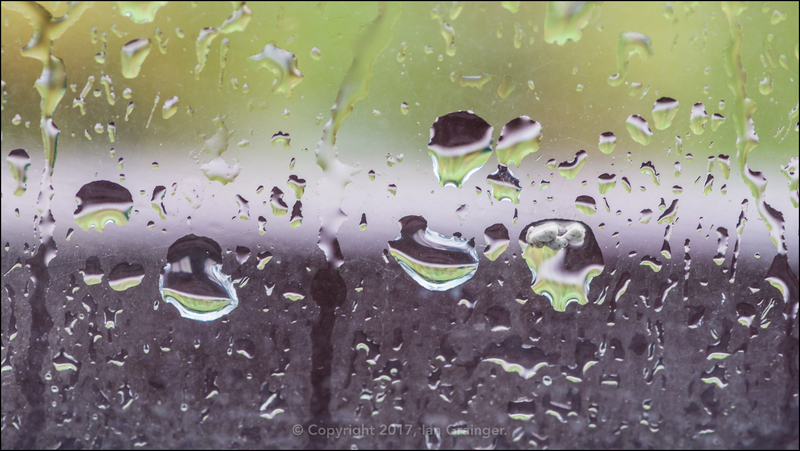 ...but this was the only shot I managed to grab that was in focus, as the rain didn't stay away for long, and the wind wasn't letting up. 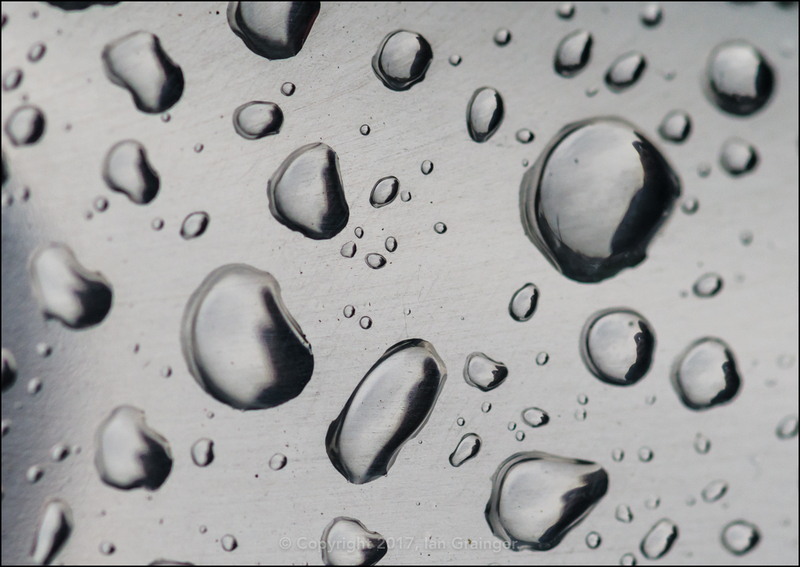 These raindrops were on the surface of a soft drinks can that someone had stuffed into one of dad's hedges. It was kind of them to leave something for me to photograph, but I'd have preferred it if they'd taken their rubbish home with them! 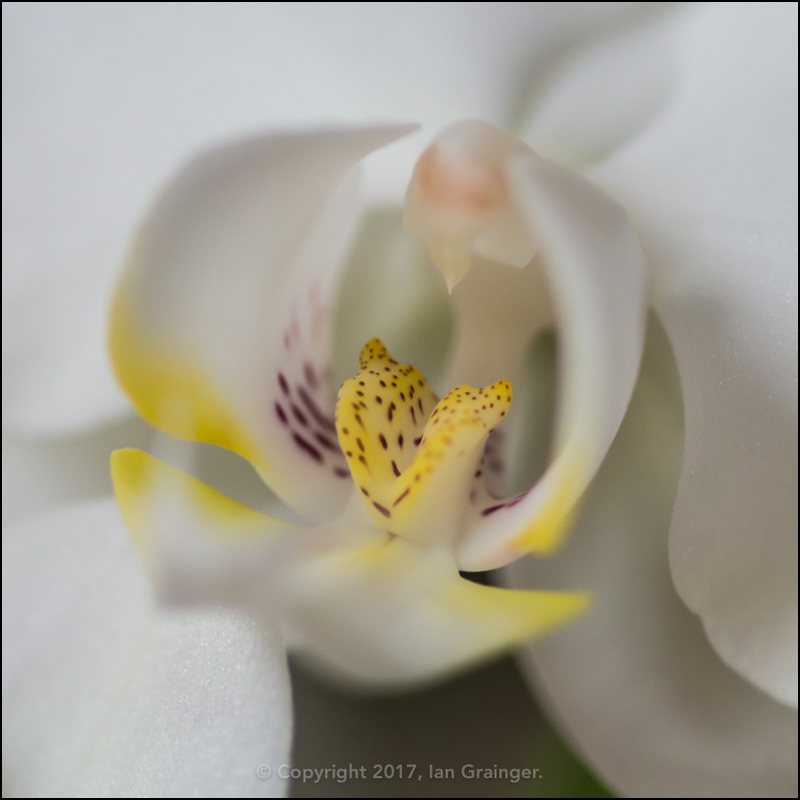 With a dearth of images collected from my weekend photo shoot, I decided to have another go in my own garden during the week. 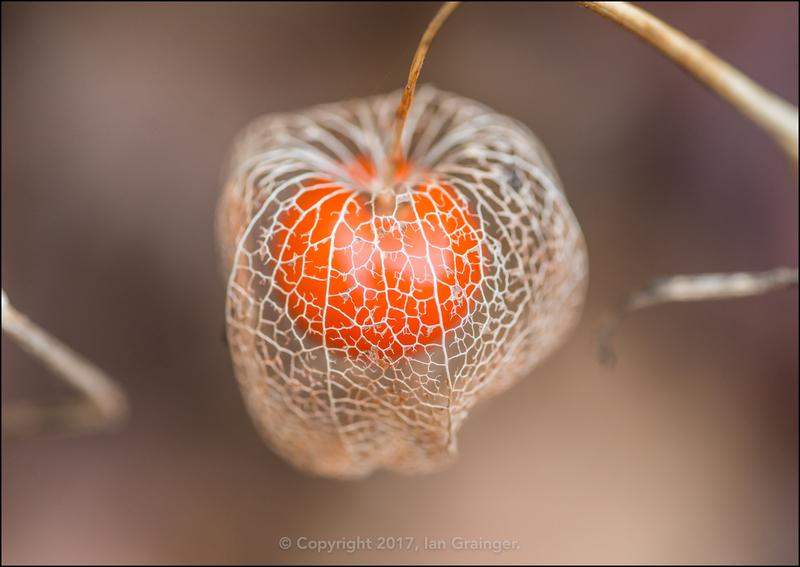 This is the skeletal remains of one of my Chinese Lantern (Physalis alkekengi) plants seed pods. The orange thing is the berry inside the lantern. 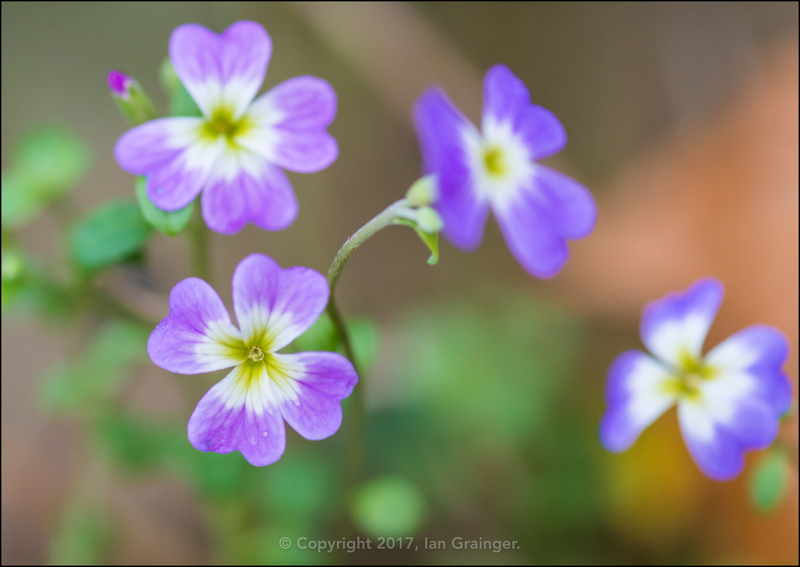 Remarkably, my lovely little self-seeded Virginia Stock (Malcolmia maritima) plants were still flowering, despite there having been quite a few heavy frosts. 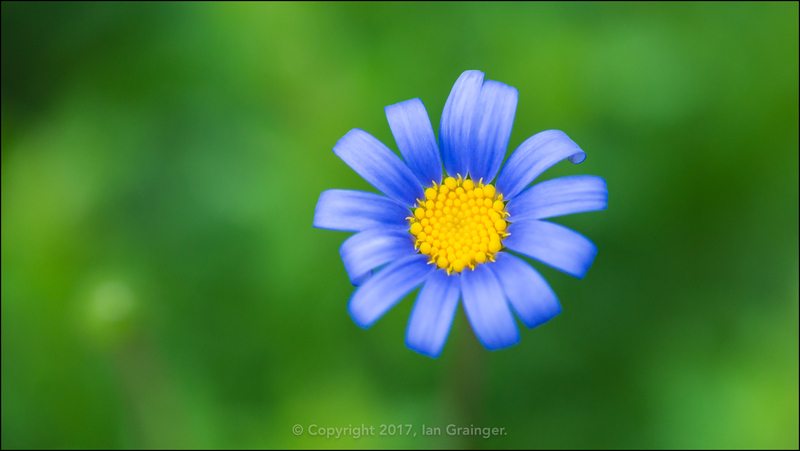 Similarly, my beautiful Blue Marguerite (Felicia amelloides) blooms were also just about hanging on, although it wouldn't be for much longer. 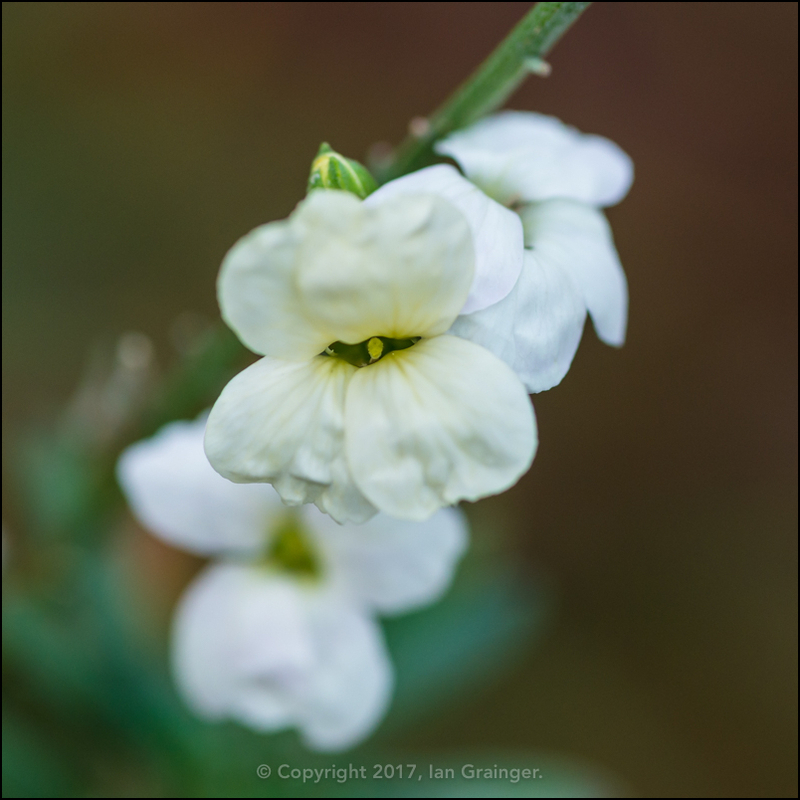 Unlike my Winter Wallflowers (Erysimum), which were just starting to break out into these pretty white flowers, and would last well into the Spring with any luck. 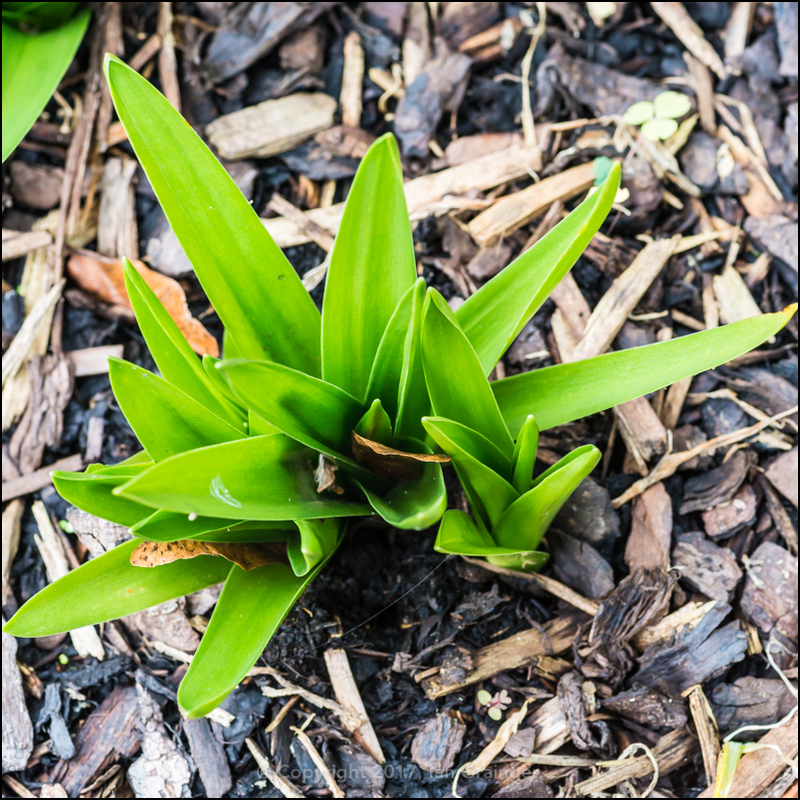 Even though I'd neglected the garden for most of the Summer and Autumn, there was still hope for next Spring, as I noticed that my Portuguese Squill (Scilla peruviana) plants were beginning to regenerate. Finally, some notoriety for one of my wet pets! I'm lucky enough to sell quite a few images using online image libraries such as Shutterstock. 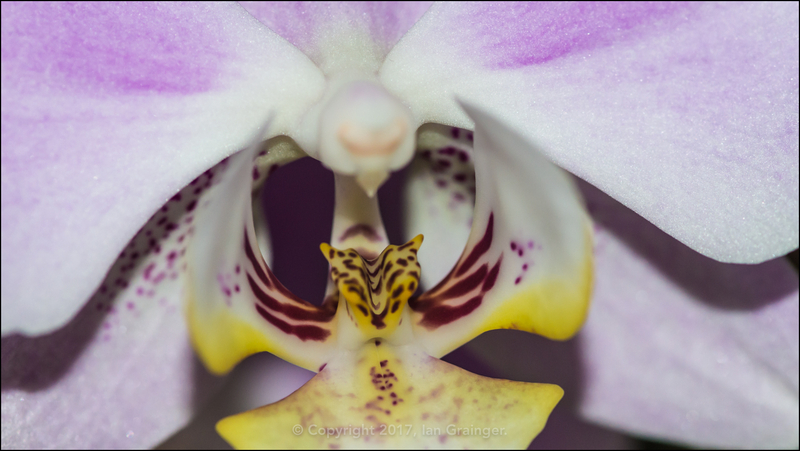 However, I very rarely see where any of the images I sell are used, and almost never know who bought them. 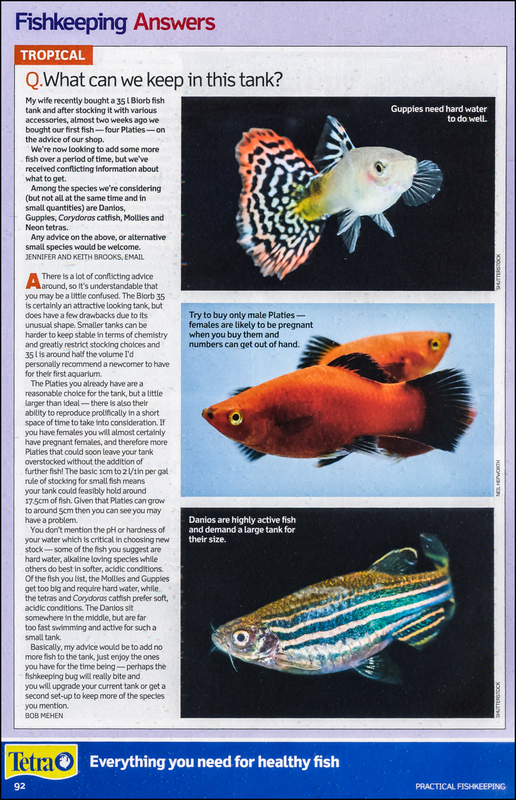 So, imagine my surprise when I was flicking through the latest copy of Practical Fishkeeping magazine and saw one of my Zebra Danios staring out from the bottom of the page at me! It's just a shame that the image credit goes to Shutterstock, and not me!